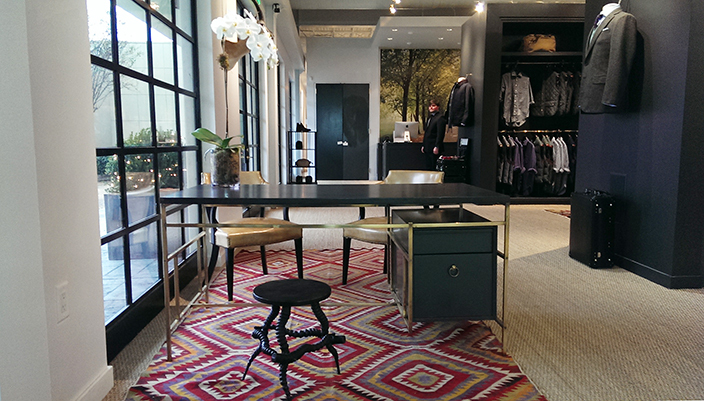 The Sid Mashburn store, in Atlanta's Westside Provisions district. Last Friday, I had the honor of attending an Atlanta Creative Mornings talk featuring the design duo Sid and Ann Mashburn. For those who aren't familiar, the Mashburns started a mens speciality clothing store in Atlanta's Westside Provisions district in 2007. 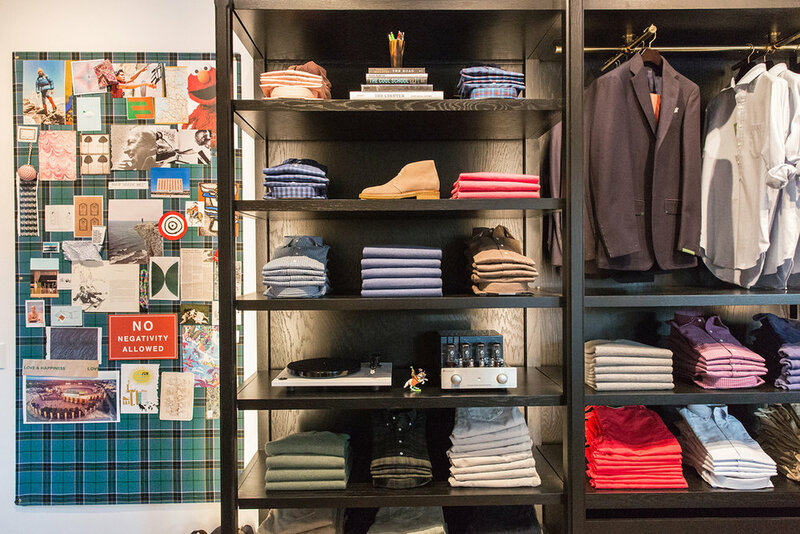 Regularly regarded as one of (if not the) best menswear store(s) in America, the Mashburns expanded into womenswear in 2010. Now their empire has expanded to branded his/hers stores in Houston, Dallas and Washington DC. I've been familiar with their store for years after hearing about it from Jonathan Adler and reading about it in GQ and Esquire magazines. So now that I'm an official Atlanta resident, I'm delighted the store is just a short drive away. Fridays talk was set up as an interview between the head of the SCAD Fashion program and Sid & Ann (more Q&A than design talk). With retail being such a challenging industry now, the Mashburns are that rare example of retail done right. Sid realized many of the small specialty shops he grew up with were quickly disappearing in the US. Inspired by these destination stores the still exist in Europe and Asia, the duo set out to fill this void. 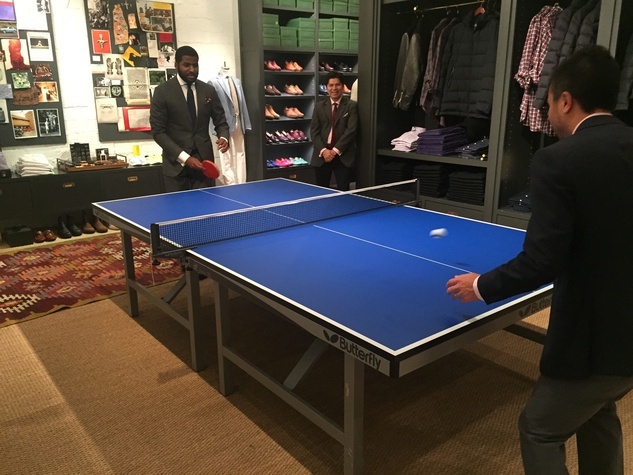 The success of Sid Mashburn, in contrast to the decline of department stores/retail in general, reminded me of an earlier post where I talk Macy's. In the race to consolidate department store brands and maximize profits and consistency, shoppers are left with fewer department store options than ever before. Gone are the regional department stores with unique perspectives and ties to their local communities. In interview with GQ, Sid says "The chain stores will never act like the local independent specialty store. They will never get into the hearts and minds and lives of people. They're too big to act local." That's 100% the problem with department stores today. There are fewer department store brands than ever, they all carry the same stuff (which can also be found online cheaper), and they offer few services. It's my person opinion that when you try to please/appeal to EVERYONE, you end up appealing to no one. I feel that's true to todays consolidated department store market. What we're left with are these giant generic stores that have been stripped of local character and remain relatively unchanged for the last 20 years. 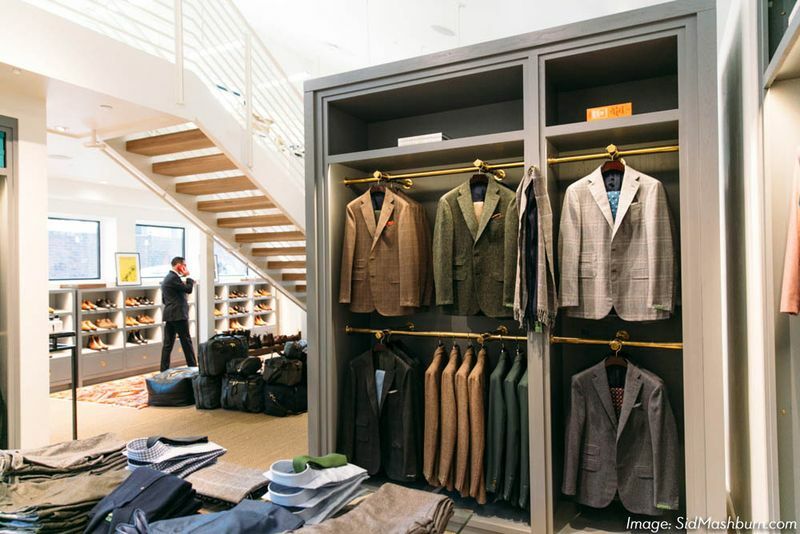 If department stores want to succeed they need to think small, local and concentrate on experiences, especially in their brick and mortar locations. That's what's missing. Thankfully Sid & Ann Mashburn started with their authentic point of view and are doing better than ever, even as they expand to more cities and grown their online business. In closing, I'd like to finish with my favorite quote from the talk, "You don't need a lot of choices, just the right ones." That mission statement really sets Sid & Ann Mashburn apart in the crowded field of retail today. It all comes down to assortment, curation, service and quality. And the Mashburns are 4 for 4! To learn more about the Mashburns, check out their online shop here, and/or check out this interview from GQ magazine. Get into it!